Aran Biomedical offer a diverse range of capabilities for structural heart implants, enabling novel solutions for next generation devices. These include custom fabrics, PTFE, electrospun materials and elastomeric coatings, which can be integrated into implantable frames or supplied as stand alone products, such as surgical pledgets, patches or sutures. 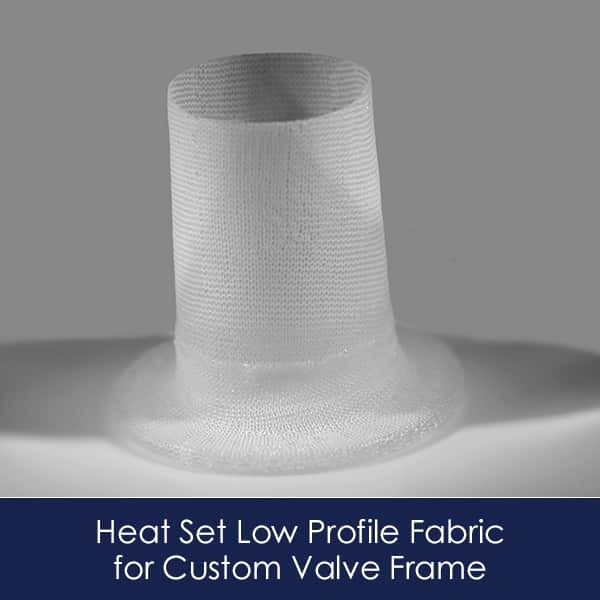 Custom designed implantable medical fabrics, whether woven, knitted or braided, can be developed for use in structural heart implants, such as implantable valves, occlusion devices and annuloplasty rings. The choice of material, fabric thickness, pore size, strength and compliance, are just some of the characteristics that can be optimised to your requirements. 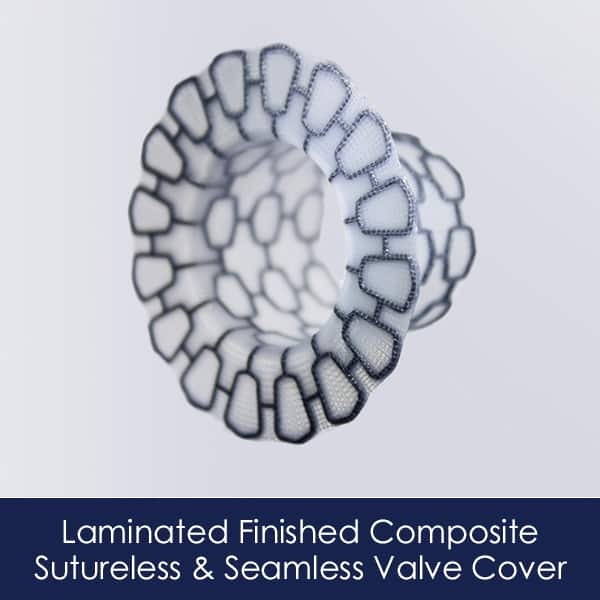 The fabric can also be laser trimmed to avoid fraying and shape formed to conform to the underlying implant. 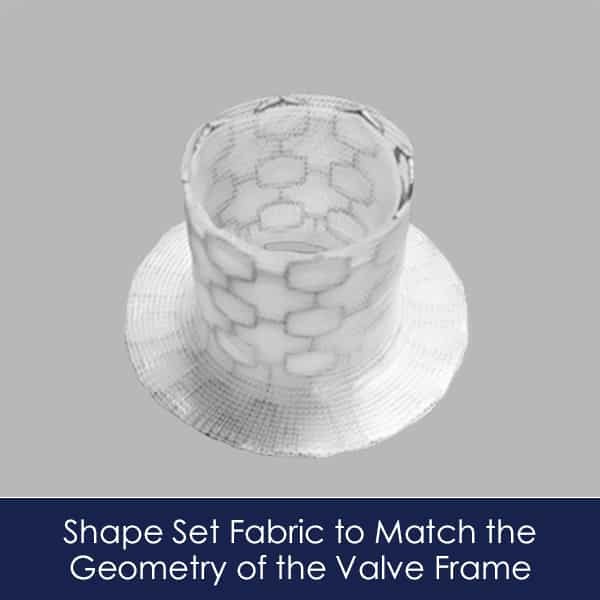 Aran Biomedical has developed a proprietary technology for applying a conformal fabric to heart valve frames. Annuloplasty rings are an established surgical device used for the repair of mitral valves. 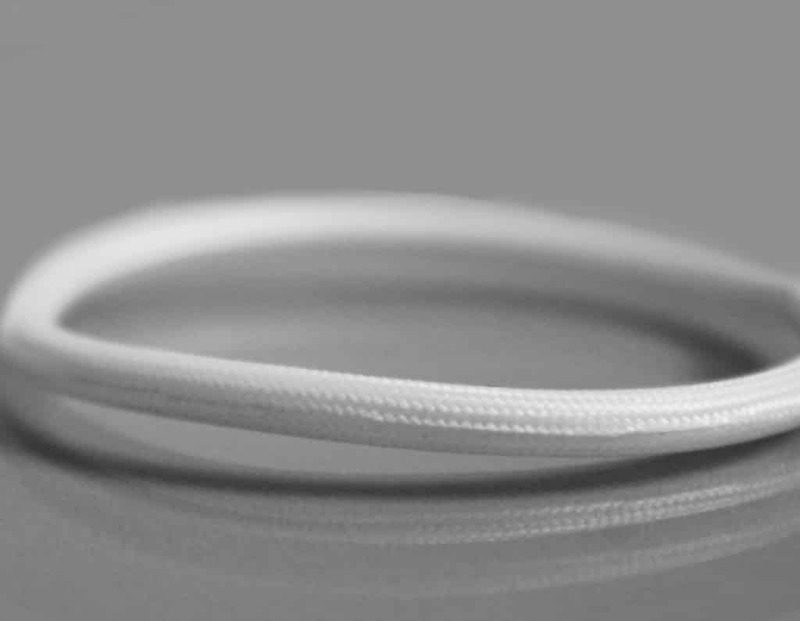 Aran Biomedical offers braided and tubular knit fabrics that can be used in an annuloplasty ring outer sheath. The fabric can be shape formed, laser machined, sewn, bonded or ultrasonically welded, depending on the design configuration and assembly requirements. Whether flexible, semi-rigid or stiff in design, a core can be developed for the annuloplasty ring to meet preferred mechanical performance. Custom tethers or sutures can also be developed to facilitate device placement. 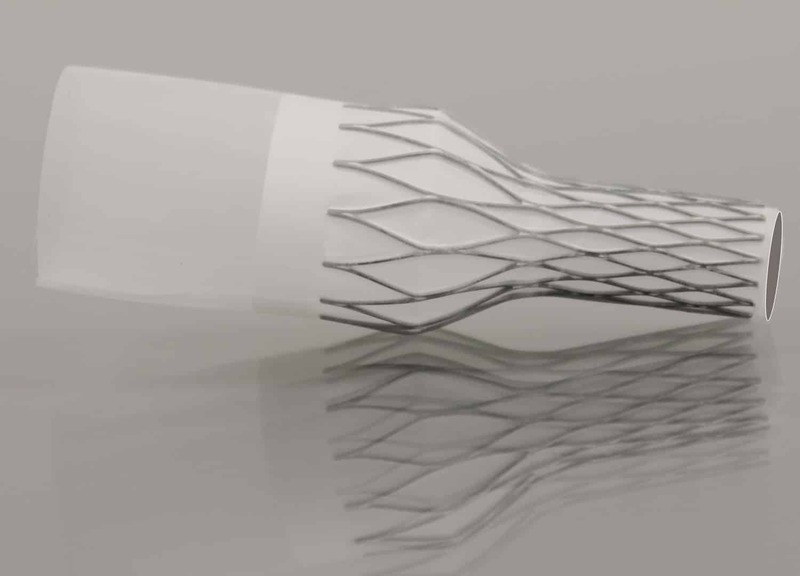 PTFE is widely used for a diverse range of structural heart implants, such as occlusion devices, heart failure implants and heart valve frames. Aran Biomedical offers PTFE covering for the most challenging implant geometries, including conical, flared and bulbous designs. In many cases, integration of PTFE onto the frame, avoids the requirement for labour intensive and highly technical suturing. Given an established clinical history of use in vascular indications it is often preferred as an alternative to textile covering options.